Even in the affluent areas of Palm Beach, the tumultuous economy has left many mortgages exceeding property values in a market that experts predict may take several years to recover. 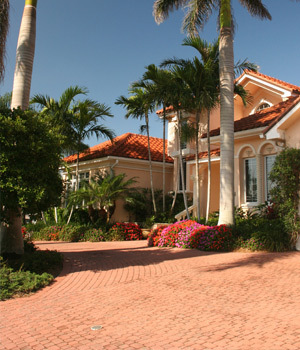 Even sought-after properties in Boca Raton, Delray Beach, Lake Worth, West Palm Beach and the Island of Palm Beach itself have lost significant value, leaving distressed owners to face unpleasant alternatives or turning to short sales as an option. There are positive opportunities and viable alternatives such as perhaps listing your property as a short sale in this market with Adam Raizin of The Corcoran Group with offices in Palm Beach and Delray Beach, Florida. Adam Raizin, Realtor with The Corcoran Group Real Estate has completed several short sales in Palm Beach County and Broward County. Closing as many as 1-4 short sales per month. The average real estate agent averages 1-4 home sales per year and those are traditional sales, not short sales or foreclosures. When it comes to the successful short sale of a property, experience and a consistent system is necessary to ensure a smooth transaction of selling your property. with REALTOR, Adam Raizin of Corcoran Group Real Estate, to see how he has helped others that were in the same situation. Adam Raizin is able to discuss the tough questions you need answered regarding a short sale and will give you the information and knowledge in helping you move forward as opposed to having the bank take back your Palm Beach or Broward property as a foreclosure.